The 2016 versions of the Camaro muscle car will opt for “ripped” instead of “Beefcake!” and lose between 223 and 390 pounds compared to 2015 models. GM, which discussed some aspects of the weight loss in May, unveiled more specs Monday. The new 2.0-liter Turbo Camaro — an I-4! — weighs 390 pounds less than its V-6 predecessor, the 3.6L V-6 is 294 pounds lighter, and the 6.2L V-8 SS is 223 pounds lighter. Because it went lean, it goes fast. 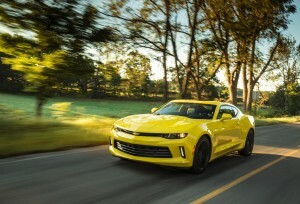 Chevrolet says the Camaro “delivers performance numbers that reset the benchmark for the segment,” able to do 60 in between 4 to 5.4 seconds, depending on the coupe style. Chevy even noted that that the Camaro’s 2.0L Turbo paired with its 2016 body and frame design delivers the same horsepower as the 5.7-liter V-8 on the 1993-95 Camaro Z28. The 2.0L Turbo also hits 30 mpg on the highway, GM estimates, though it doesn’t provide gas mileage for the other versions. Besides the OEM Technology Summit, those wanting to learn more about automotive high-strength steel should attend “Removing, Replacing and Joining Advanced Materials” with Dave Gruskos, Reliable Automotive Equipment, and “Advanced and Evolving Automotive Structural Technologies” with Ken Boylan, Chief Automotive Technologies. The presentations will be at this year’s SEMA Show as part of the Society of Collision Repair Specialists’ Repairer Driven Education series. Register here. 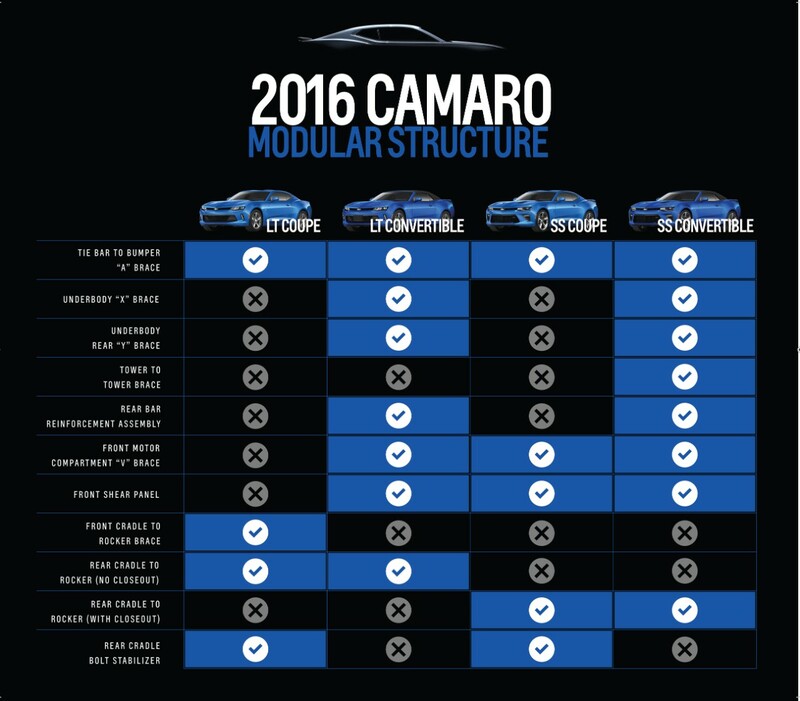 The Camaro’s performance will be important considering the big sales Ford is seeing with its next-generation 2015 Mustang. That muscle car was itself rendered much lighter and offers one version with a 2.3-liter EcoBoost engine able to hit 32 mpg on the highway. Ford sales through August included 86,769 Mustangs, compared to 56,673 in 2014, for a 53.1 percent gain. Chevrolet, which tracks model deliveries, said it’d delivered 56,298 Camaros through August, down 13.1 percent from 64,767 in 2014. Ford’s 2.3L V-6 Mustang with EcoBoost reaches 32 on the highway. (Ford’s estimate uses 93-octane fuel; it’s unclear what gas GM is using to get its number.) Ford, however, hasn’t bragged about any Mustang 0-60 times. General Motors said it was able to mix and match 12 chassis parts through serious computer crunching for a modular design. GM in May said the the body-in-white itself is 133 pounds lighter but 28 percent more rigid, indicating heavy high-strength steel use. Chevrolet made the dashboard instrument panel frame — a target for lightweighting even to the point of casting in magnesium — out of aluminum instead of steel, shedding 9.2 pounds. 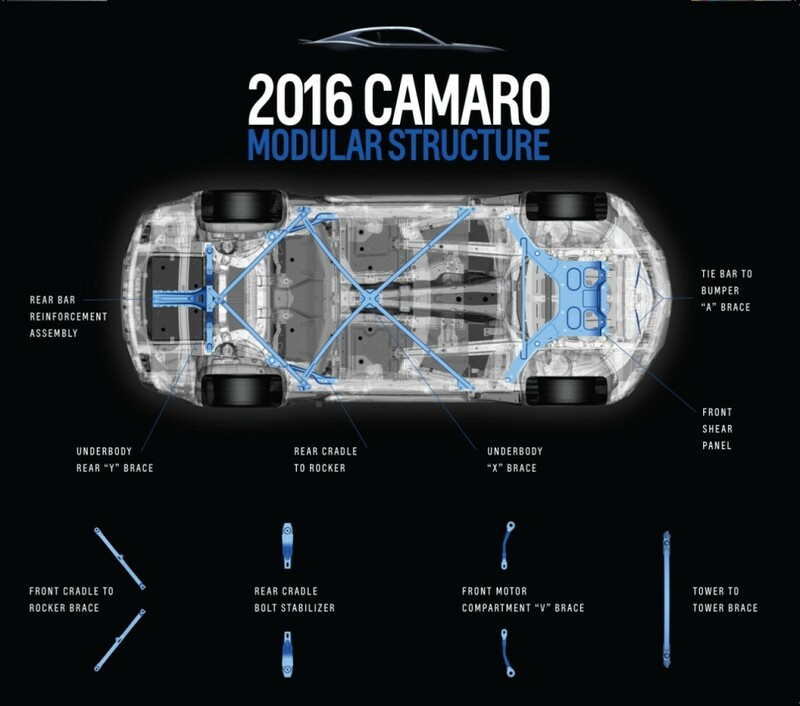 The car features aluminum front suspension links and steel, holed rear suspension links; the suspension overall weighs 26 pounds less than on the 2015 Camaro. So far, GM has not responded to a request early Monday evening to elaborate on the alloys in the body-in-white with regards to strength. However, GM has said the car is loosely based on the Alpha platform, which the Society of Automotive Engineers’ Automotive Engineering magazine and Edmunds have said was used on the ATS and CTS Cadillacs. That probably means, based on those models and industry trends, a lot of ultra-high-strength steel (which GM defines as starting at 700 megapascals instead of the usual 780 MPa) in pillars, sills and roof rails. GM cautions against doing anything other than replacing such metal. Also, you shouldn’t apply heat to ultra-high-strength steels, nor should you stich-weld it. Other recommended restrictions apply as well; check with GM for the correct repair procedures before you screw up someone’s sweet new Camaro.